Okay, so take the higher order post, the geometry of the higher order post, and add time. Here’s what you get. Two different geometries, one for each axis, gravitational and magnetic. How curious is it that the inner core makes a torus, hey? 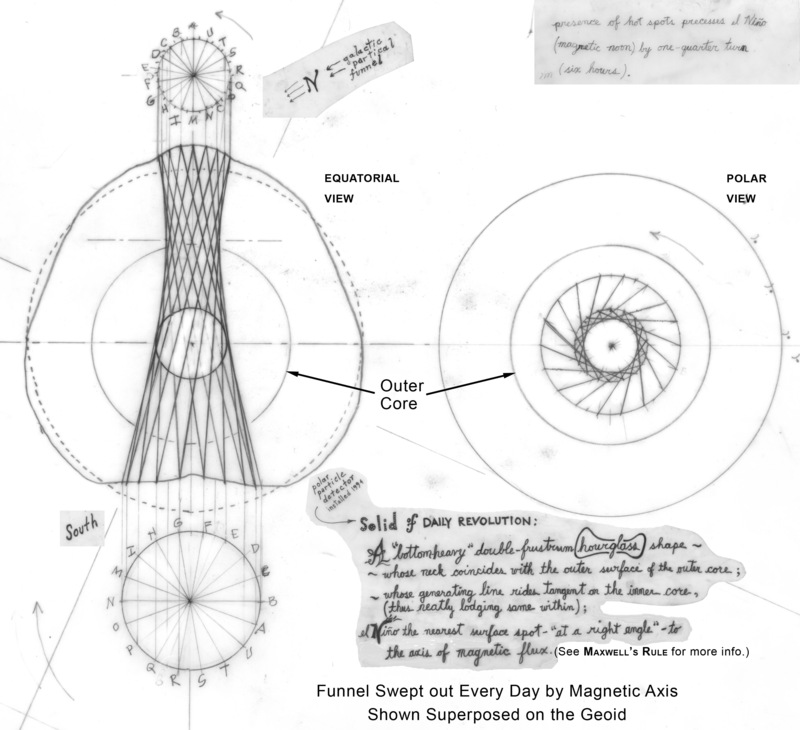 I’m just drawing the geometry, but I can’t help but imagine that the late Dr. Pekeris might find this interesting. A principle of electromagnetism: every portion of an electrical circuit carrying a current experiences such mechanical forces due to its own or to any superposed magnetic field as would cause the circuit to link with a maximum of magnetic flux. It’s the force that makes your telephone cord (you remember telephone cords?) twist up. Surely it’s there, the forces are there in the earth/sun system, but I’m not smart enough to figure out if Maxwell’s rule is what is responsible for Earth’s Pear Shape, or if it goes someplace else. 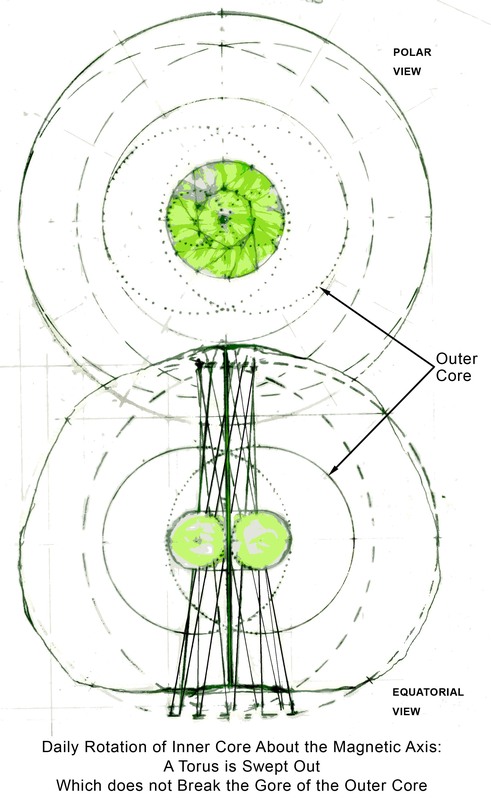 As far as I can tell (not that I’ve looked exhaustively) it’s not yet been calculated for the earth/sun system, but one electrical engineer who dug into these diagrams offered that, however many years it has been since a pole shift, the force would be cumulative. Don’t hesitate to weigh in on this . . .